Are you excited? Good! We are, too! When you visit each one, make sure you "follow" or "like" our account while you're there! 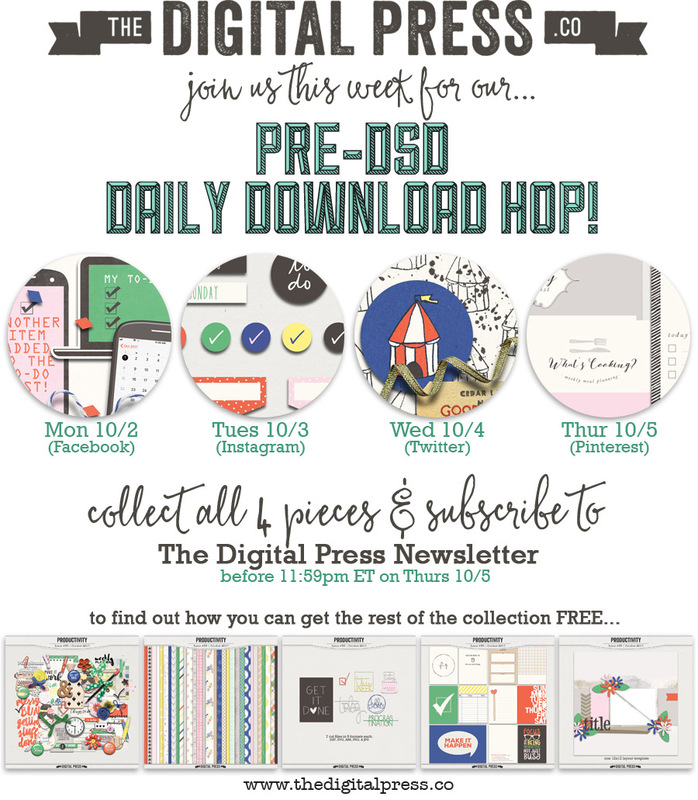 We use these accounts not only to let you know about fun stuff (like this DAILY DOWNLOAD HOP)... but also to pass along information about our regular monthly FREEBIES throughout the year... about our other amazing events, deals, and sales... and more! Additionally... pretty much every other day of the year, we offer up some really gorgeous and fun/crafty inspiration images! You really won't want to miss any of it! (did you see all of the stuff it contains, in the images up above? This looks to be a great collab! looks so cute, can'twait until Friday! What a grand freebie! I am so sad that I don't have a twitter or instagram account :'( Is there a way to get those pieces if you don't have twitter or instagram? Yes, definitely -- you can still visit our Twitter and Instagram accounts even if you, yourself, don't have an account. No worries! Woo hoo! DSD is almost here - love this weekend! Looks like a fun kit!! My most favorite time of the year!!! I’m on my iPhone and can’t find the download link. Do I need to be on a desk or laptop? Because you won't really be able to download a zip file onto your iPhone... yes, I'd try to do this from a computer. That way, you'll be on a device that can download the file. Yay! This looks like fun! Thank you to all the designer for the wonderful gifts! Thanks for these lovely freebies! Late to the party as I didn't feel well for DSD but thank you for the freebies that were still active. Signed up for the newsletter and looking forward to getting back to scrapbooking.